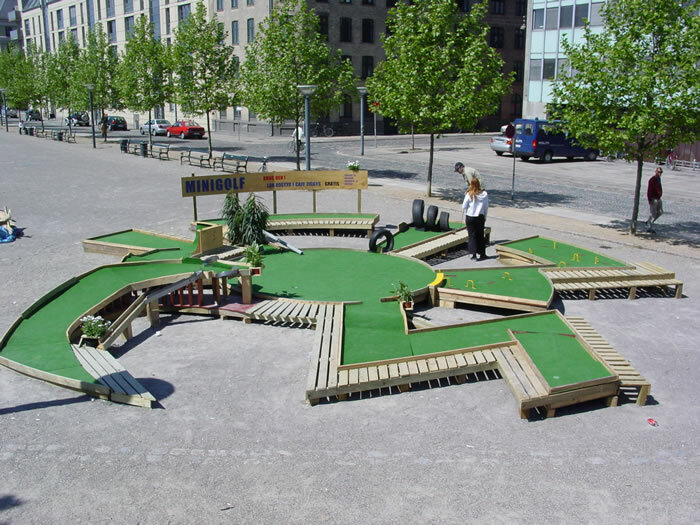 Like houses, monuments have a long time perspective. 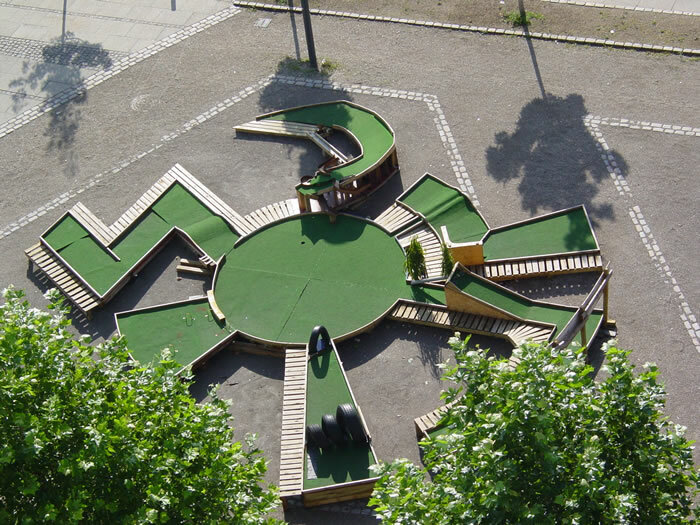 But is this necessary? 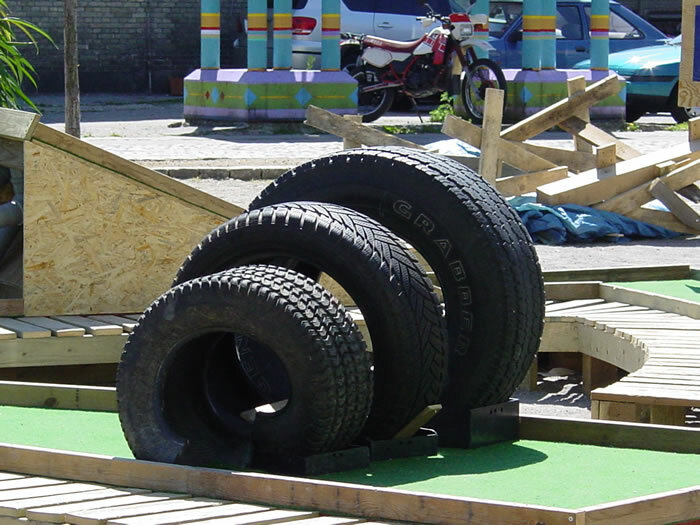 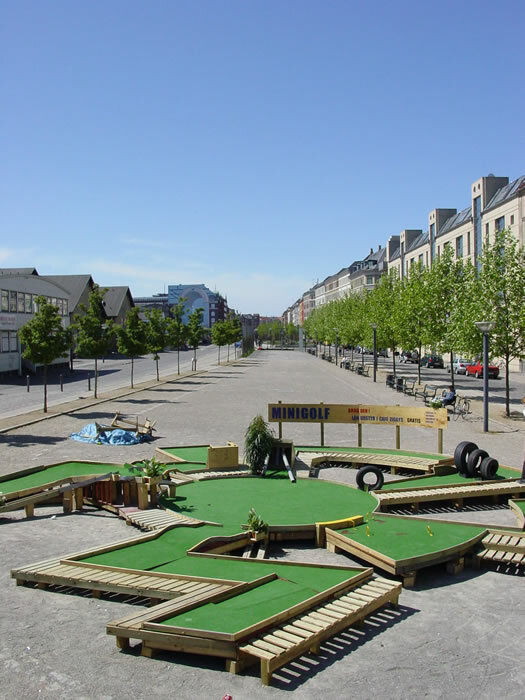 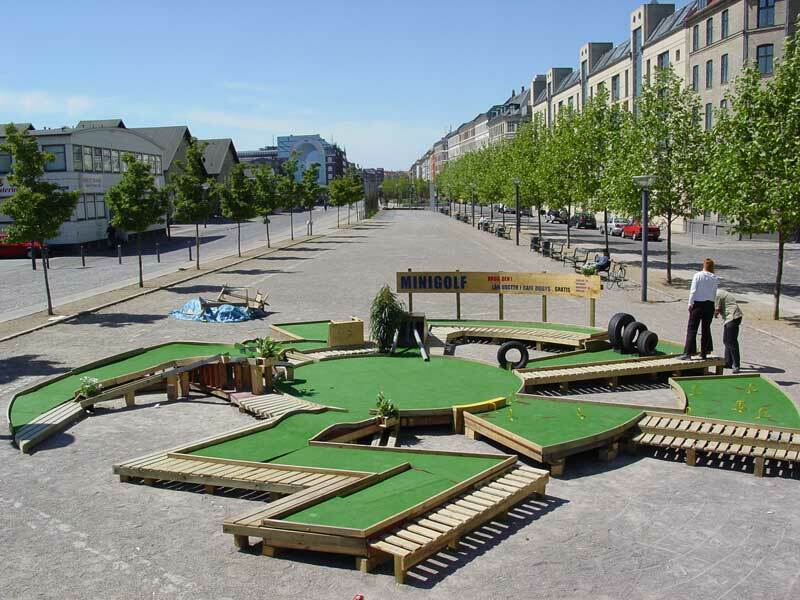 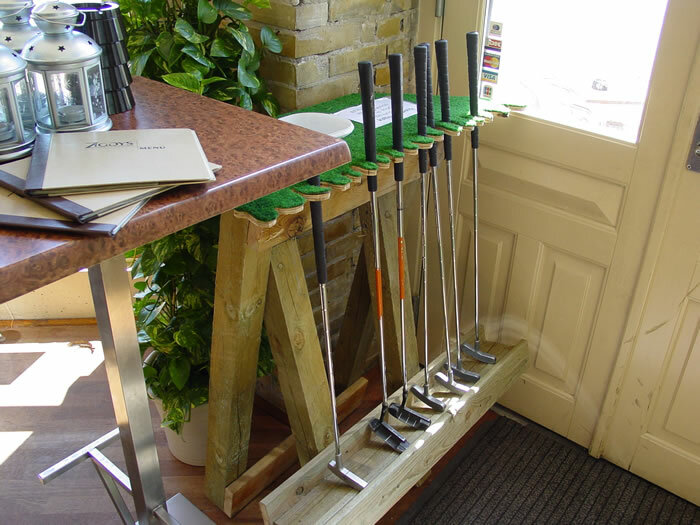 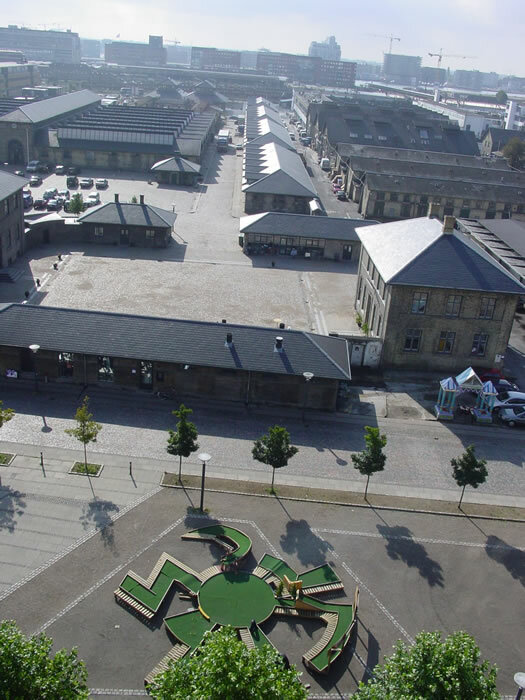 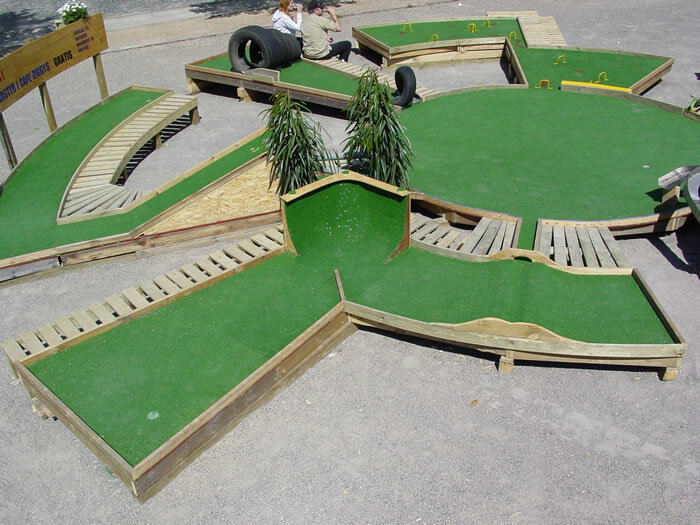 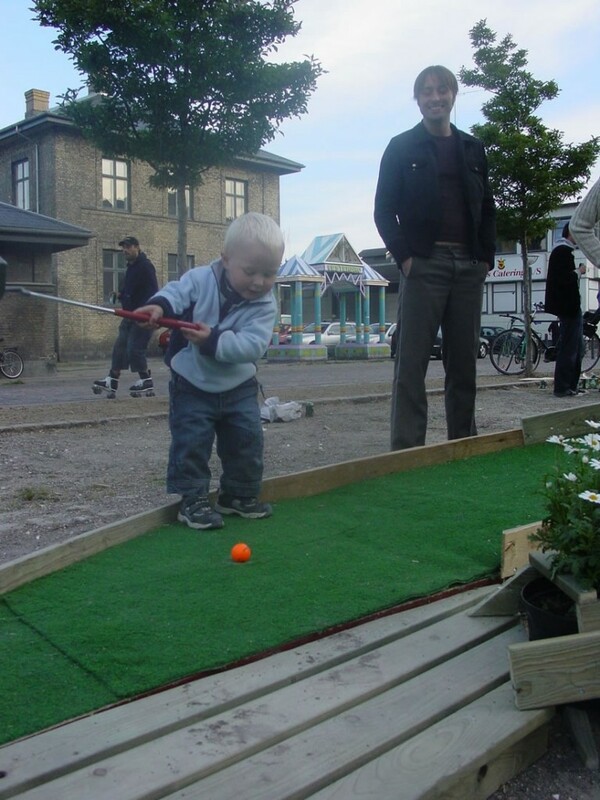 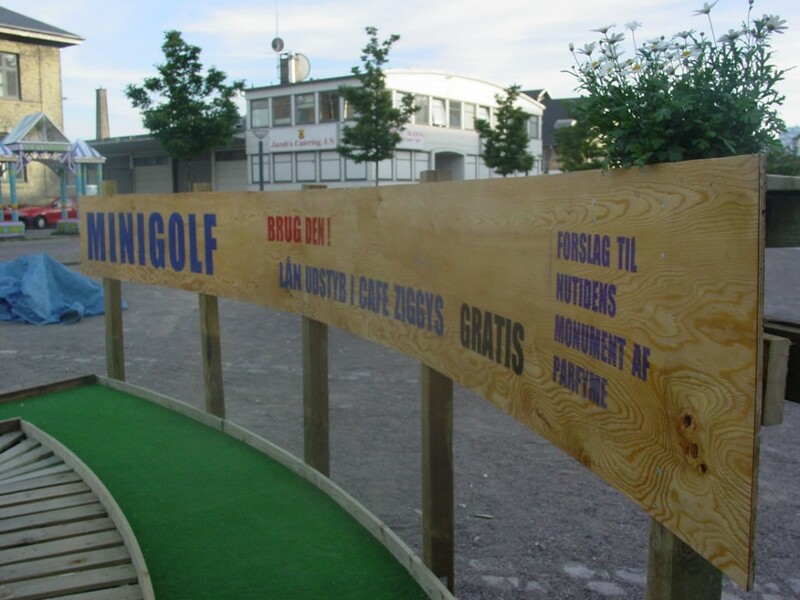 A mini golf course on Halmtorvet: a modern monument.